Colleges/ Universities of Malaysia have a lot of common features. All the programs taught in English are officially used by schools of England, Australia, USA, Canada, New Zealand and the degrees awarded by the mentioned countries. 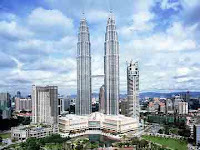 High school graduates can study in Malaysia. Students of Diploma or Bachelor can have some subject exemptions if they provide their score sheets to be considered. For language, English, students do not need IELTS or TOEFL prior to their commence. Student will be assessed on arrival and placed at the level which is suitable for their current proficiency. If students meet 550 TOEFL or IELTS 6.0, they donot need to study English. Students in Malaysia can transfer to other countries if they have good results ( Rank B or above ), they can meet English requirements and finance conditions. Tuition fees are available in the countries and Visa is applied upon visa documents of Vietnamese.